While it’s true that San Diego’s weather is pretty awesome year round, it’s the summer months that we especially enjoy. The days are longer, the weather is warmer and everyone seems to be in a good mood. It’s also a great time to be on the water. Whether you crave high-speed adventure or a relaxing cruise on the bay, San Diego offers all sorts of cool water activities. Just last month, Speed Boat Adventures launched a brand new thrill ride that we wanted to try out the moment we heard about it. The Sea Rocket ride is a 45-minute narrated tour that departs from Cabrillo Isle Marina on Harbor Island. From there, it makes its way into the Bay and ocean. There were nine people on our tour but the boat can carry up to 14 passengers. Our boat reached speeds of up to 35 miles-per-hour and we even caught some air. Jamie, our guide, said if the boat had fewer passengers, it could have easily gone up to 50 miles-per-hour. When we weren’t zipping around the bay, Captain Charles slowed down so we could take in the views and hear all about San Diego’s rich history. Looking at the City’s skyline and Coronado from a boat is such a unique experience and it’s a great reminder just how breathtaking our city really is. For those who prefer to navigate their own boat, they have another tour that puts you in the driver’s seat, literally. 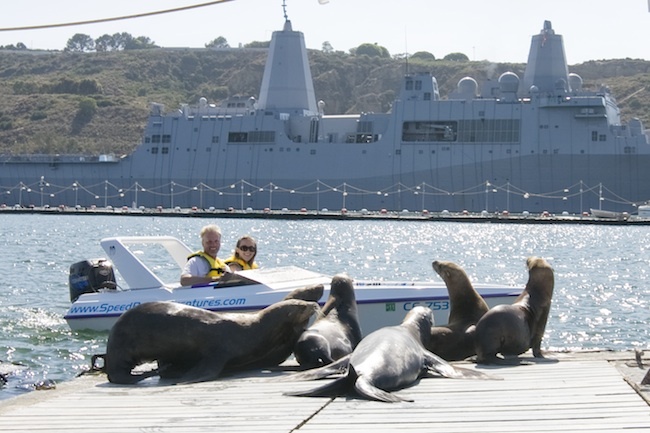 The two-seater mini speedboat adventure allows guests to captain their own boat while following a tour guide around San Diego Bay. Guests are able to hear the guide through a two-way communication system that is mounted in each boat. At first, we were skeptical about driving the boat but after a while, we got comfortable and were having a blast in no time. Our guide Nathan not only pointed out some of the local landmarks, he was good at giving us the freedom to race around the bay. Longtime resident Julie Dysart said the tour is a wonderful way to rediscover your city. “We’ve lived here our whole life and we saw new sights we’ve never seen. Being able to get that close to the U.S.S. Midway Museum was something else,” she said. For more information on pricing and tour schedules, visit speedboatadventures.com. It’s no secret that yoga has become extremely popular over the years. But for those who want to kick it up a notch, why not take your practice from the yoga mat onto a Stand Up Paddle board? This form of yoga has just caught on in San Diego within the last three years. And finally, if you’re looking for something that’s romantic, the Coronado Gondola rides is the way to go. It has all the magic and charm of Venice but it’s right here in our own backyard. 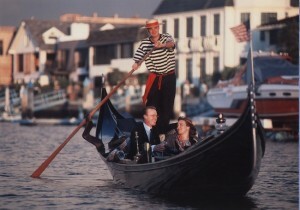 The Gondola Company has been around since June 1999. 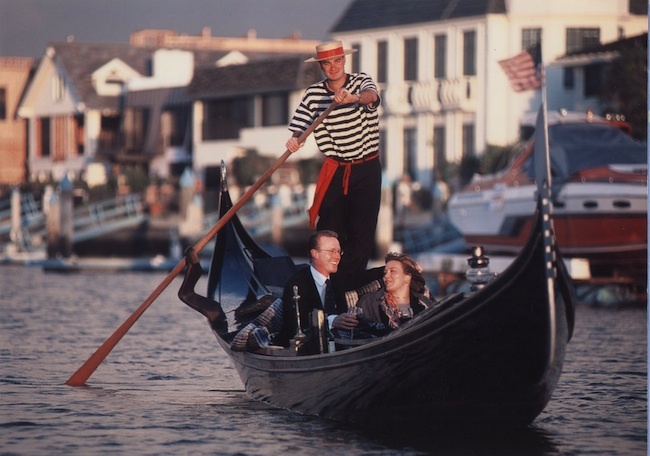 The gondolas can fit up to six people but if a couple wants to be alone, that’s fine. That’s something we really appreciated because the company doesn’t mix and match different groups. Guests also have a choice between a complimentary appetizer or dessert plate and if a group wants to bring their own wine or beverage, the Gondola Company will provide ice buckets, glasses and a bottle opener. The cruises depart from Loews Crown Isle Marina (near Loews Coronado Bay Resort) and travel through the canals and waterways of the Coronado Cays. If you haven’t explored this quaint community, it’s an adventure that is truly off the beaten path. Owner Sean Jamieson says his cruises have been used as the backdrop for many creative wedding proposals over the years. “We’ve had everything from scuba divers unexpectedly popping out of the water to sky writing. It’s really cool when we get to be part of a person’s special day,” Jamieson said. For more info, visit gondolacompany.com. Seeing a live band rock out on a summer night is a fun way to spend the evening. One of our favorite places to see an outdoor concert is the Kona Kai Resort. They now do free beach concerts and the scenery with the hills of Point Loma and the bay are very cool. Take a photo with you and a friend doing a freeze frame air guitar or dance pose in front of a band at one of their outdoor concerts. The most creative picture wins four tickets to an Urban Challenge/Scavenger Hunt and four tickets to a Rent-a-Local Biking Adventure in Coronado. Email the photo by Aug 29 to tours@wheretours.com. For more info on Kona Kai Resort’s Outdoor Concerts, visit resortkonakai.com. 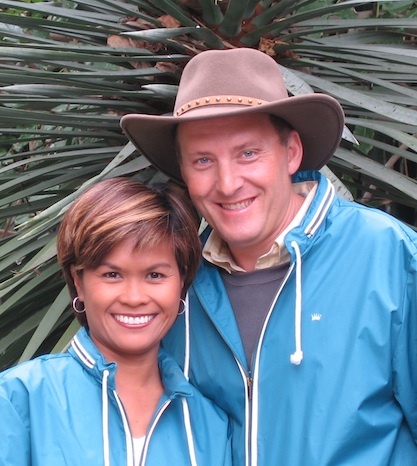 Marc & Darlynne Menkin are the co-owners of “Where You Want To Be Tours.” Many of their tours and team-building scavenger hunts feature secret Downtown areas. They can be reached at menkin@wheretours.com. 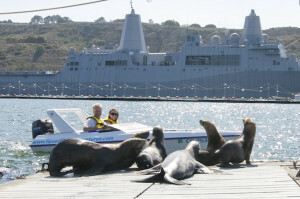 For more info about their walking, bicycle and bus tours of San Diego, visit wheretours.com.